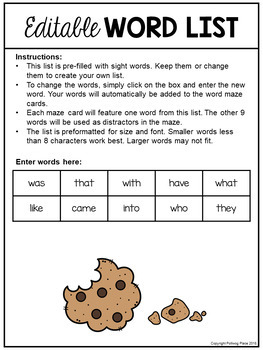 There are 10 different word maze cards. Each card features one sight word. 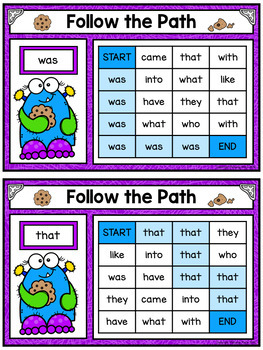 Students look for the matching sight words and follow the path to complete the maze. They can highlight, color, or draw lines to connect the boxes. You can also provide students with small manipulatives to cover each box. 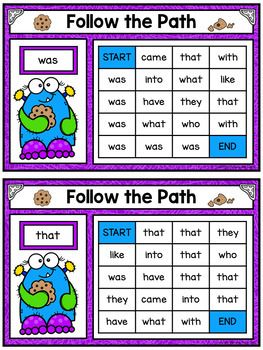 Slide the pages into a sheet protector or laminate for a write and wipe activity. This is a low-prep activity designed to save you time. 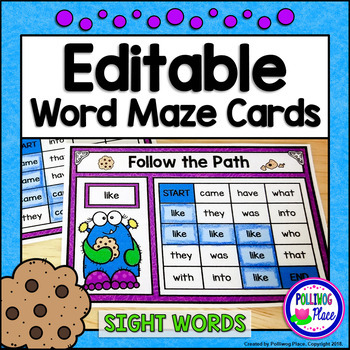 The 10 word maze cards are pre-filled with sight words. Keep them or change them to create your own list. Simply print and cut apart the cards. Use heavy paper and laminate for durability. The cards come in both color and black lines. Answer keys are included.